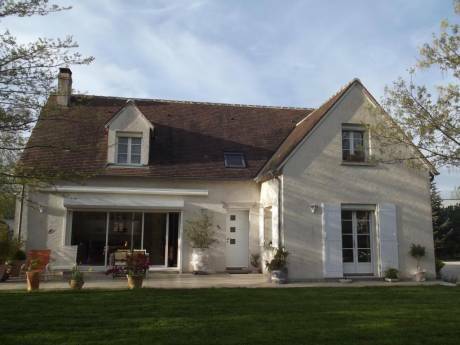 Our home is situated in a small village on a hill overlooking the Loire Valley. 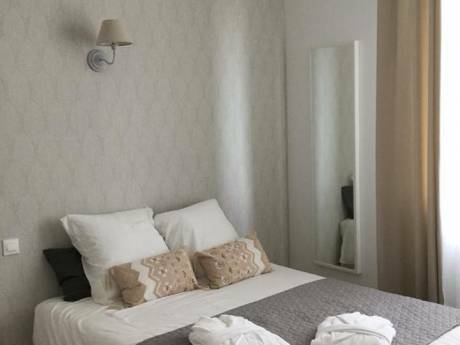 The ground floor is spacious and includes a grotte (no need for air conditioning) and a baby grand piano. There is an extensive rock garden winding up a hill into a woods and vineyard. Jean-Claude is French and oceanographer and Susan is American and works for an international organisation. Both appreciate eating and drinking well, enjoying the terrace and garden, as well biking and kayaking. Jean-Claude tends to his orchids and Susan plays the piano. Needless to say they both love to travel. 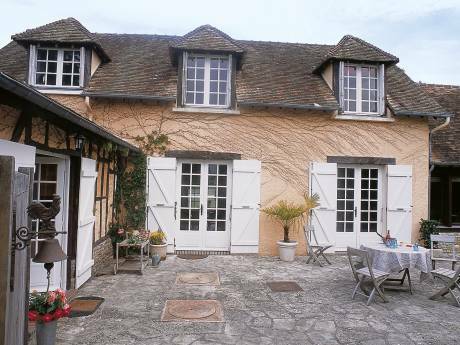 The nearest neighbor is a 17th century chateau and an excellent boulangerie is in easy walking distance. You can play boules down by the river, walk or ride bikes on quiet country roads. The region is rich with summer festivals/pageants, outdoor markets, wine-tasting, picturesque villages and chateau visiting.